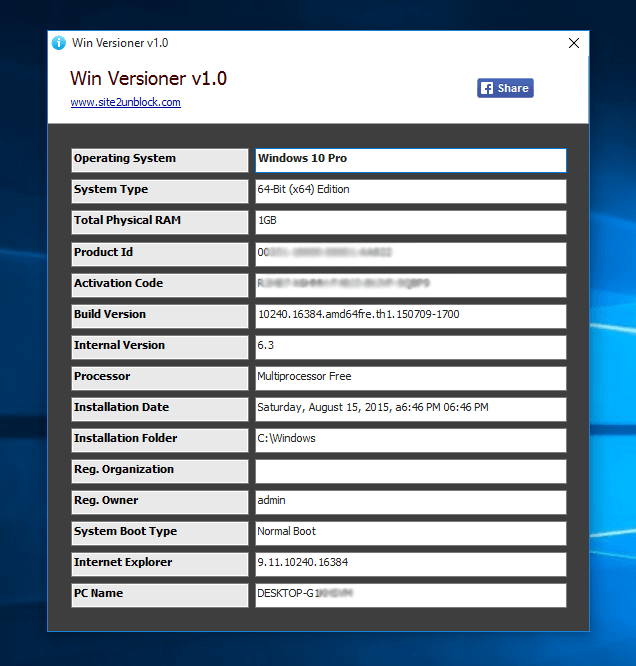 Win Versioner is a simple Windows OS software useful to show information about the Microsoft Windows Operating System that is installed in your Computer. You can view the full Operating System name, Windows version number, installation date, activation code, product ID, system root folder, organization and other useful system information. This program works fine on Microsoft Windows XP, Vista, 7, 8, 10 (32\64-bit).